Nestled at the foot of the Berkshire Mountains in the northwest corner of Connecticut, Lime Rock Park is as picturesque for visitors as it is challenging for drivers. At a relatively short 1.53 miles in length, its layout is deceptively simple. Even professional drivers find it difficult to unlock the secret of a very fast lap. Racers sometimes refer to its seven corners – six right handers and one left – as a road racing short-track due to the high average speed and the fact that there is no opportunity to relax during a lap. 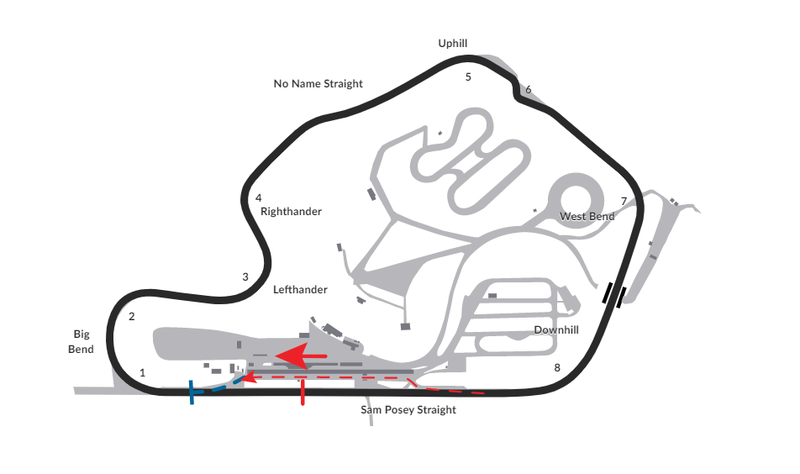 Opened on April 20, 1957, Lime Rock Park is the home track for the Skip Barber Racing School and is one of the oldest continuously-operated road courses in North America. The track has witnessed epic battles among some true legends of the sport. Drivers like Mark Donohue, Brian Redman, Hans Stuck, Paul Newman and Geoff Brabhman have all battled their way to victory at Lime Rock Park. In addition to SCCA club racers and the Skip Barber school, these days Lime Rock Park plays host to IMSA and NASCAR East competition. This page was last edited on 4 November 2018, at 15:28.